There are a lot of expenses when it comes to planning a wedding. I can tell you no matter how diligent you are with your budget, extra costs and expense will always creep up. There were some things I absolutely planned to splurge on from day one and left it to the experts, i.e. photography and florals. Meanwhile there were other items, i.e. my wedding veil and wedding favors, I knew I wanted to DIY – I guess I’d consider myself as the expert in this scenario! I wanted our wedding favors to be simple, easy to assemble, matched our table setting, and at the end of the day, a keepsake our guests can take which blend nicely with the rest of their home. 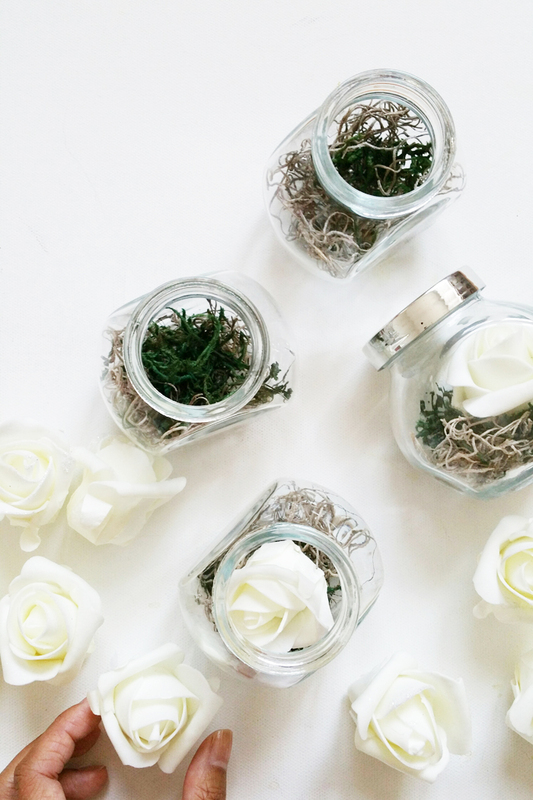 These DIY mini Wedding Terrariums were inspired by a few extra IKEA spice jars I had laying around at home. I kid you not when I say that inspiration can be found anywhere… in my case, even within the dark corners of my kitchen! These DIY Wedding Terrariums doubles as favors and place card holders, keep reading on to see how to create them! I hope you enjoyed this simple tutorial and inspired to tackle your own wedding favors or name cards! 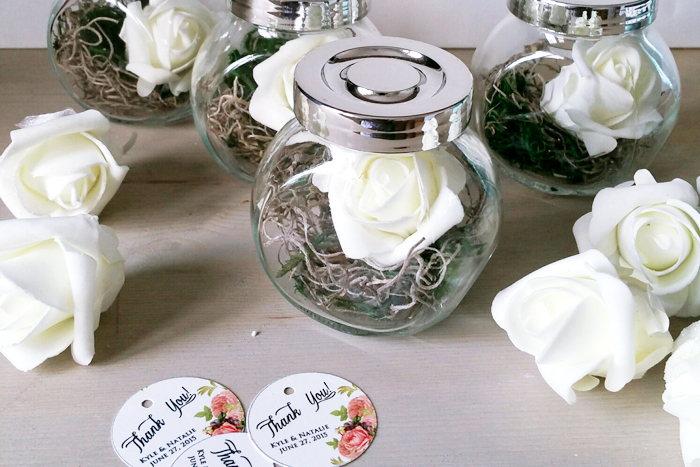 Wow, what an idea for creating a reasonable wedding terrarium favors for a wedding. 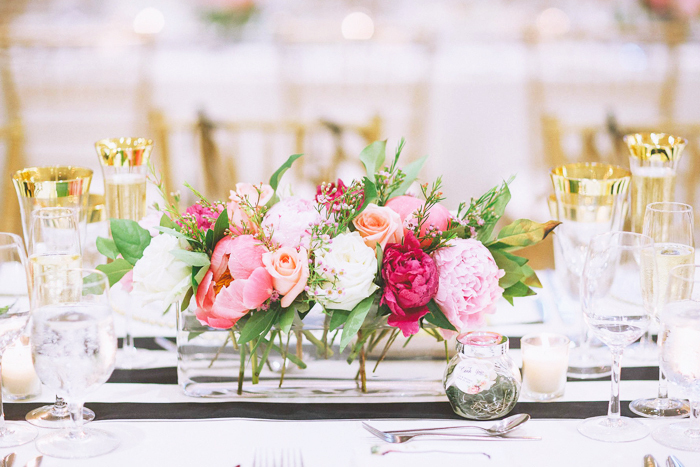 As rightly mentioned in this article, wedding is a costly affair and these DIY ideas are just perfect to save on the cost. Thank you for giving a step by step information for the same! 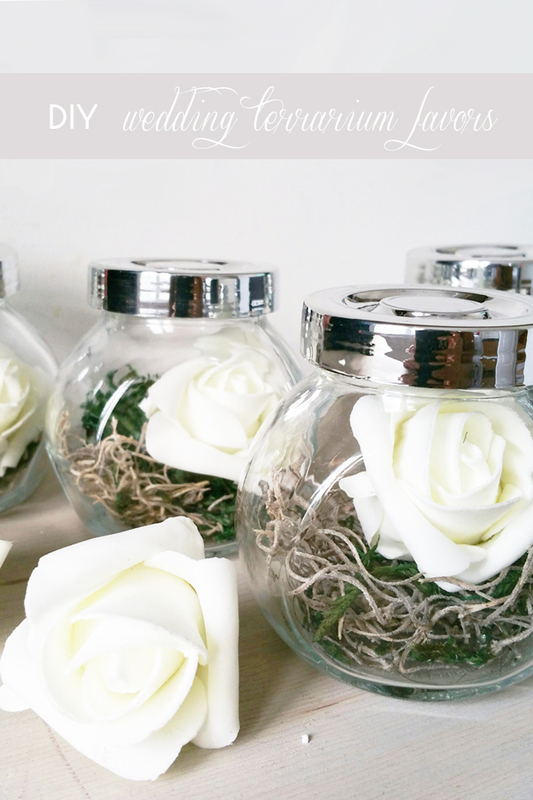 Interesting and beautiful idea to create wedding terrarium favors with such attractiveness. These are looking eye catching and the idea is making the wedding day more beautiful for sure. Added with other elements including flowers the idea is superb. Its true that at the time of wedding too many wedding expenses are there. Here Your wedding terrarium favors completely amazing & interesting.